The first thing to consider when creating a PPC ad is who your target audience is.Understanding their demographics and psyche will determine how to craft and word your ad. Choose the right words and communicate them appropriately and you’ll be surprised at the number of clicks a well-made ad can generate. For beginners or those who simply do not have the luxury of time to create their first PPC ad, it might be a good idea to hire the services of a professional. Not only will they know how to go about using the features of Google AdWords or other pay-per-click advertising tools, they will also be able to help you monitor your PPC ad’s performance. Find Your Ideal Customers offers PPC management services designed to help you get your online advertising campaigns implemented as quickly as possible. Experts in digital marketing, Find Your Ideal Customers was founded by Jayson Rodda, a specialist in AdWords and display advertising with no less than 10 years experience in the field amounting to roughly 15,000 man hours. What can Find Your Ideal Customers do for you? PPC advertising relies on a careful selection of keywords, which happens to be Jayson’s expertise. Find Your Ideal Customers can help you determine the right keywords to choose that will trigger your ad to appear in search results based on your target market’s choice of words or phrases in search engines. What’s more, Find Your Ideal Customers understands that creating a compelling PPC ad means understanding your business as well as you potential customers. With a thorough understanding of both, you will be empowered to present your product or service in a way that entices potential customers to engage further by clicking on it and being whisked away to your website, where you can engage them some more. Once you have created your PPC ad, you can sit back and let it do the hard work for you. One of the most noteworthy benefits of PPC advertising is that results are virtually instantaneous. As soon as you run your ad, it becomes visible to just about anybody who types in your chosen keywords in a search engine. And not only can you reach thousands of people this way, you are in fact reaching the right people who are likely to show an interest in your product. What’s more, through PPC management, you have at your fingertips full control of your ad campaign. AdWords Manager allows you to select what time of day your ad will appear right down to what months you’d like your ad not to run. This gives you total control of not just your campaign, but also of your ad spend which you are always on top of depending on what your budget is for that particular campaign. Don’t waste any more time. 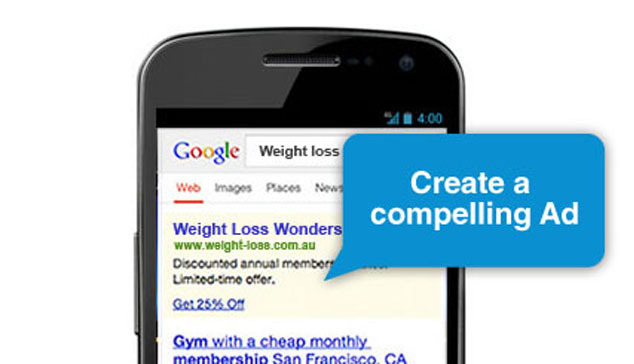 Learn how to create a compelling PPC ad today by phoning Find Your Ideal Customers at 1300-76-00-84 and ask to speak directly to Jayson Rodda .